But wait, to break through this mundane cycle of life, and to add that much-required masala to kick-start your weekend, The Monologue is here!!!! Wait, what??!! Yesss!!! 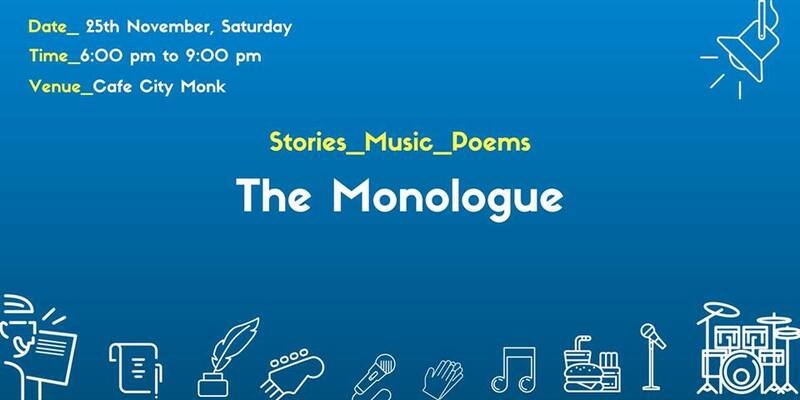 The magic of words, music, laughter is what awaits you at The Monologue. Stories weaved out of lives, poems composed out of words, music that’ll you groove to, stand-ups that’ll tickle your funny bones and much much more is what we have to offer to you! And if you think you’ve got what it takes to deliver the amazing performance we are all hearts for you.